With 2013 sadly coming to a close, it’s time we take a step back and see just how many of you are still tinkering and playing with your Android devices. As I have said countless times, the need for rooting Android phones has fallen dramatically, as Android grows to be quite the mobile operating system – offering both speed and looks that we didn’t imagine were possible back in the days of the “OG” DROID. While the custom ROM scene will never disappear completely, it’s quite easy to see that there are probably less folks buying devices and then immediately rooting them. For example, we have asked this “rooted or non-rooted” question before, and the percentage of rooted users has been dipping. Not at too fast of a pace, given this is an Android enthusiast site, but as we mentioned, quad-core chips with 2GB of RAM have definitely kept many users from needing to overclock their CPUs. 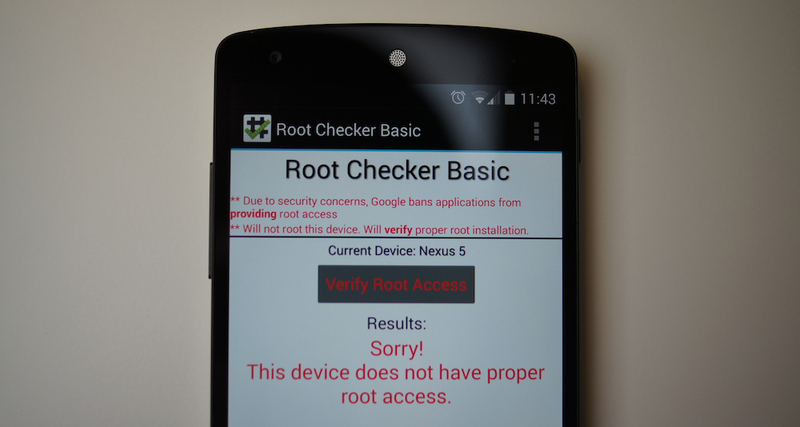 If you continue to root your phones, tell us why. If you choose not to, we’d also love to know why.